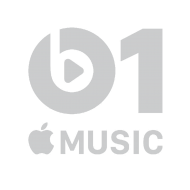 Beats 1, a 24/7 music radio station owned and operated by Apple and accessible through iTunes and Apple Music, provided coverage of the Osheaga Festival for auditors around the world to enjoy. 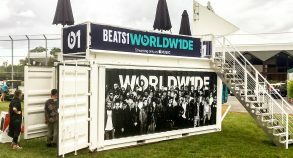 UK-based anchor, Matt Wilkinson, spent three days interviewing some of the biggest artists at the show inside the sleek lounge area using a Steel Space Concepts’ modified shipping container. 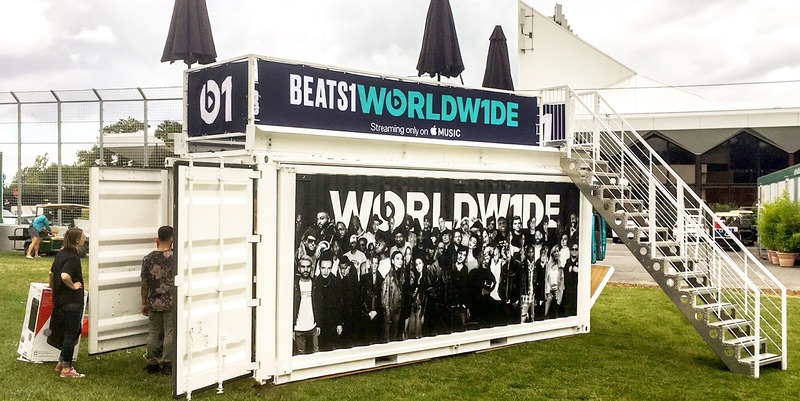 Converted shipping containers have become an essential part of the festival scene because these units are cost-effective, trendy and innovative. The shipping container trend is often associated to the widespread fascination with industrial design and architecture. This style juxtaposes the raw with the refined, the sleek and modern with the vintage and classic, just like Osheaga features emerging local artists along famous world-renowned stars. 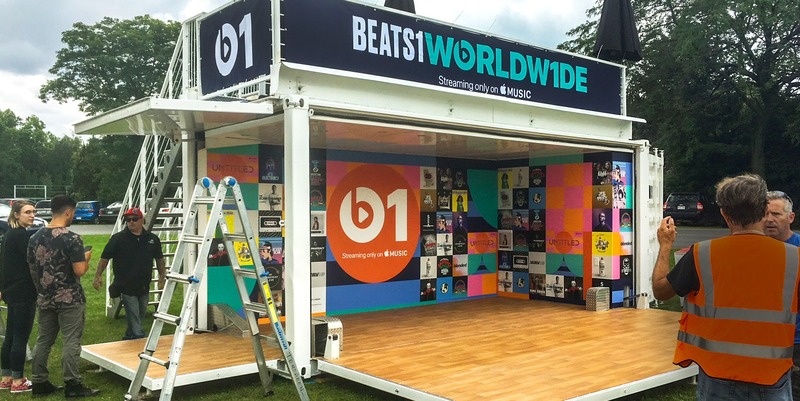 By using converted shipping containers for Beat 1’s Interviews and Live Concert Performances, this modern industrial look fitted with the festival artists’ styles, genres and cultures. In addition, converted containers constitute a fantastic marketing tool to get noticed and get potential clients talking about a brand. 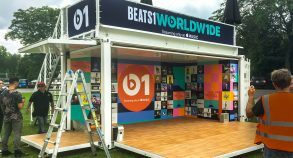 Beat 1 took advantage of the festival’s high traffic volume to promote their radio station locally.